Well, this is quite a transformation. 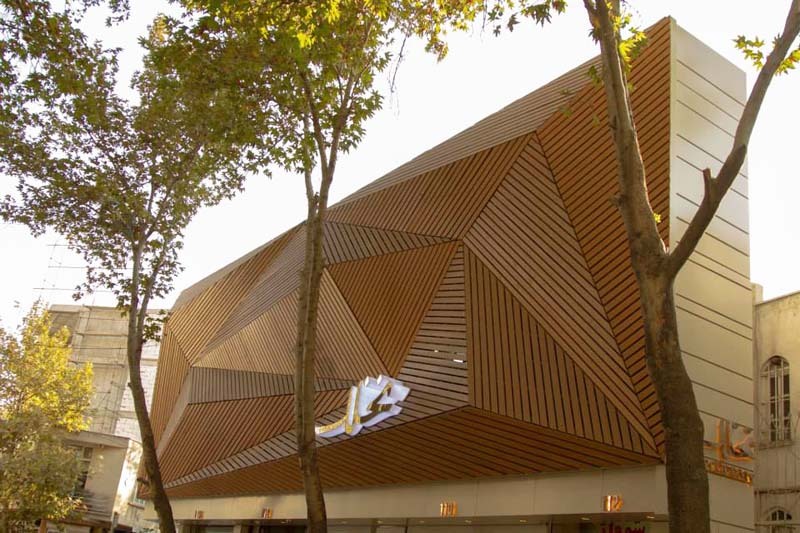 Majid Fatourechiani and Hamid Fatourechiani of Fatourechiani Architecture Studio in Tehran, Iran, have recently completed a new storefront for Nakhlak Confectionery in their own city. 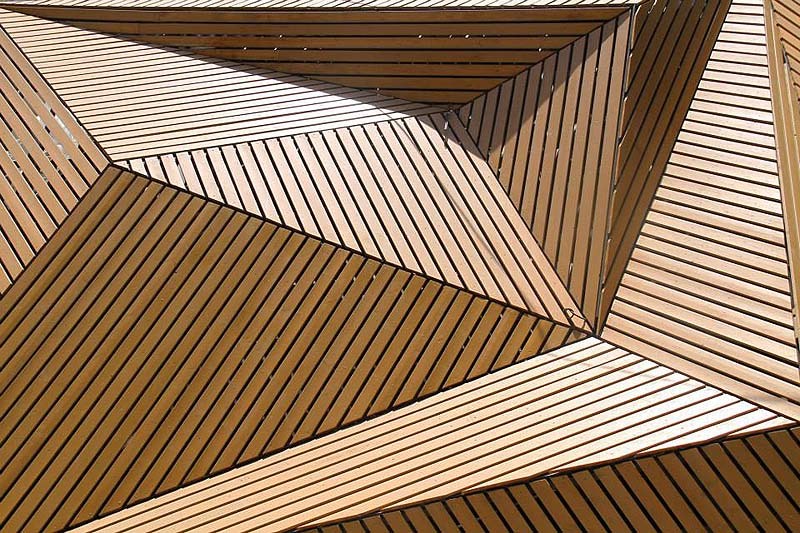 By attaching a sculptural prismatic patterned wooden louver to the upper part of an existing—and rather unremarkable—building (see 4th photo from top), in addition to renovating the interior and rest of the exterior, Fatourechiani Studio has made the building virtually unrecognizable. What was once generic is now strikingly contemporary. It almost looks like giant exploding triangles of milk chocolate…but maybe that’s just me. The stainless steel signage slab adds to the modernity and gives an element of sleek elegance. Definitely interesting and daring. If you like this, you might also enjoy this Iranian snack bar design.